Came across this book a while ago. It’s an American publication but is fantastic to develop comprehension skills. 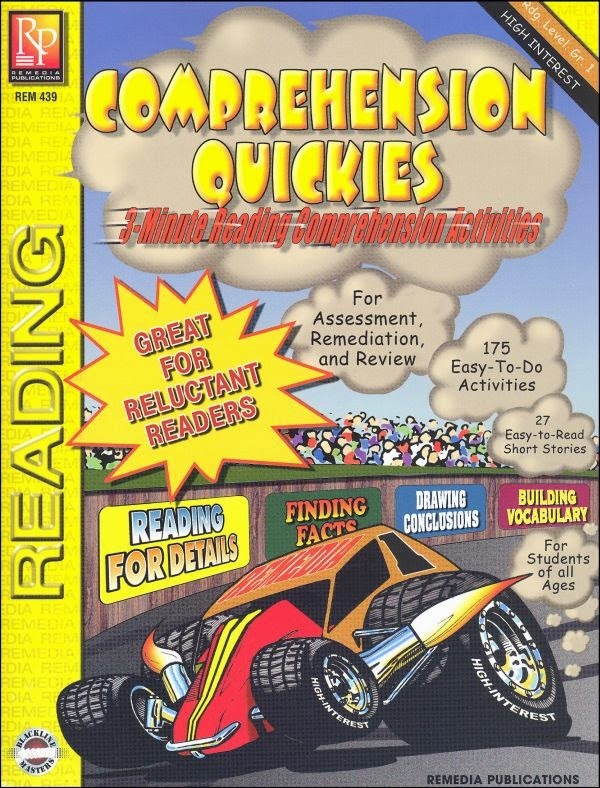 Children have to read a very short passage on a high interest topic and then answer 7-8 questions. It is designed for ‘struggling readers’ but I think it would be suitable for all children – you could use the level above to challenge the able readers in your class. Often literacy textbooks have long stories and comprehension questions then follow but by the time the children have read the story they can’t recall what has happened. You can download some of the books on Teachers Pay Teachers. Here is an example of one of the comprehensions.